For billions of years stars have fallen from the sky. The time has come to start catching them. 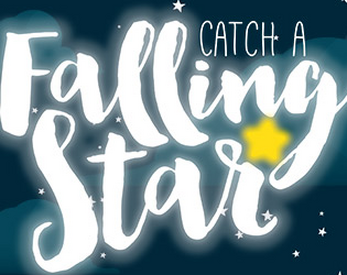 Catch a Falling Star is a casual game where the aim is to catch falling stars and score points. A very fun game with great graphics and soothing music - perfect for when you feel like playing a game, but aren't in the mood to think too much about it. * Your basket fills up as you catch stars, and once it's full (or before), you can deposit on either side of the screen to score the points. * Wind blows from either side, pushing the falling objects in that direction. * Catch various power-ups, like a speed boost for your basket, an extra life, less ice spawned, etc. * Avoid hazards, such as lose a life, more ice spawned, slow down basket, etc. * Catch coins, the in-game currency, and spend it to unlock additional baskets, themes, basket space and one-use power-ups. * Compete with your friends all over the world and see who can put up the highest score in the global leader boards. Why not team up with you family and friends, and play together cooperatively, having two baskets on the screen at once! Catch even more stars and score even more points! Full controller support, so perfect to play from the couch!